The Hawaii volcano eruption has triggered a shock event that has left experts baffled. 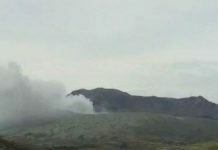 The interaction of lava with sea water has created an unusual weather phenomenon causing freezing rain on the Big Island Summits, forcing the Hawaii National Weather Service to issue a shock Winter Weather Advisory alert. Mysterious weather events have struck Hawaii’s Big Island, where the volcano Kilauea continues to erupt and spew lava. 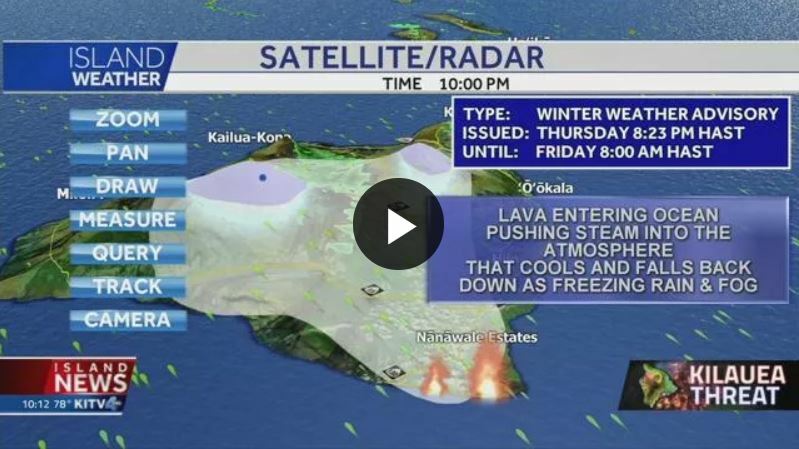 The steam from lava in the ocean goes into the atmosphere, cools down and falls back to the Island as freezing rain and fog, forcing the Hawaii National Weather Service to issue a shock Winter Weather Advisory alert. 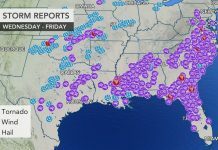 The unusual weather event is incredibly rare and meteorologists have admitted that they have “never seen this before”. 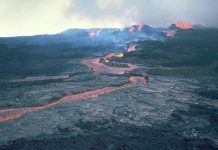 One Hawaiian meteorologist Pete Caggiano told viewers: “Lava flow has actually prompted a winter weather advisory for the summit of the Big Island. Lava is entering into the ocean that is creating a lot of steam. As that steam rises up it cools and falls back down as freezing rain and fog. I have never seen this before. This has sparked a winter weather warning for above 12,000 ft. There are ice on the roadways so this is creating dangerous conditions. Meanwhile the Kilauea eruption continues devouring houses and destroying land. Why is this so strange? Steam rises into the atmosphere above 12000 feet temperature drop causing condensation to form. Have you ever been up 12000 feet, water freezes everywhere on Earth at 12000 feet. Then stop suggesting that the wonders of nature are already known by all. This story provided me a fun example to explain condensation etc to my middle school students. They were fascinated! You, my friend are a bore! Its snows up on the volcanoes usually at least some in winter. There are some snowmobile operations on Mauna Kea offering skiing. Mothership is sucking up all the evilness. June 10th time lapse of the 416 fire Hermosa, Durango, Colorado. Shot from Missionary Ridge. Mothership is cleaning up all the evils on the Earth. Reptilian religious agent was killed and eaten by a reptile. This must be a perfect karma! Space trav Alabama Are a racist Nazi? Why do you always discriminate and hate. Making such statements about africans and their beliefs. I am South African no i am not white. What appeared to be an underground electrical fire closed down several Baltimore streets Sunday night after a similar incident in February. “underground electrical fire” = Reptilian secret underground base in Baltimore had been burnt by Galactic Federation of Light. Reptilian (=Vampire) couple’s house had been burnt down while they were playing golf. At least nine teenagers from a Yeshiva in Brooklyn were injured, three critically, in an explosion and fire at a camp in Orange County early Friday. Right now, people or reptilians with heavy karma are experiencing tough time to clear their accumulated karma.